Moz dimensional walls add depth and excitement to your walls with our curved and woven metal paneling. Decorative metal panels. 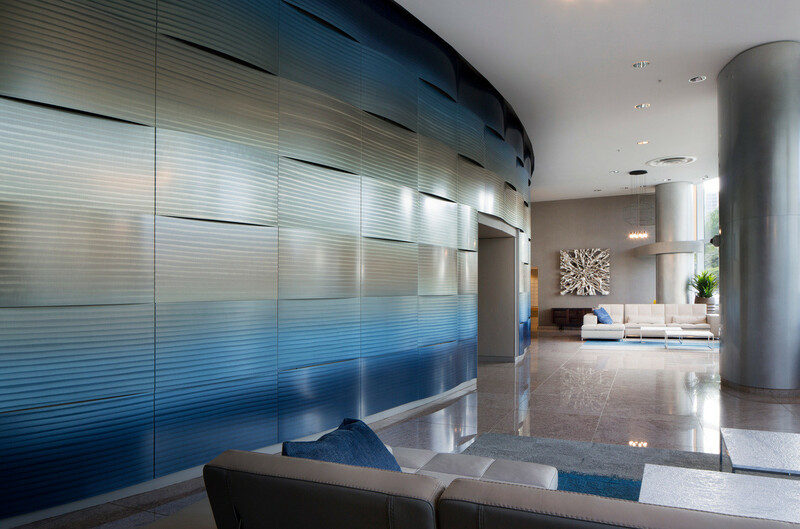 Make an impressive statement with the Móz Weave Wall system. Designed for easy assembly and installation, and decorated with our unique grains and colors to provide texture, depth, and movement to your environments. Basket Weave metal wall panels are an innovative approach to customized wall décor. Basket weave panels are affordably priced, ready-to-install, visually-dynamic aluminum panels packaged in modular kits to save you time and labor. Tides Ocean Waves Walls consist of curving in/out panels designed to add dimension and character to otherwise flat walls. Tides Rolling Waves Walls consist of full height panels with a single wave designed to add dimension and character to otherwise flat walls. Tides Breaking Waves consist of full height panels with a double wave designed to add dimension and character to otherwise flat walls.